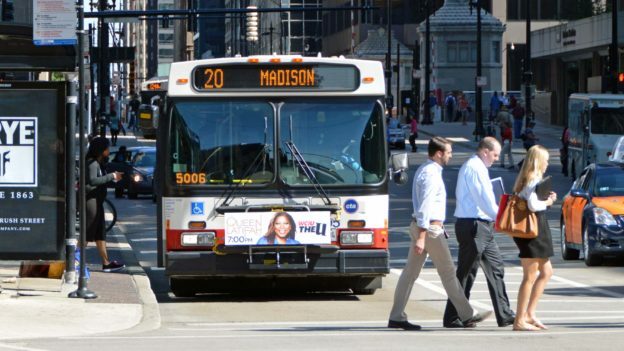 Chicago bus accident attorney Phil Berenz is dedicated to helping victims of bus crashes as they seek personal injury compensation for medical and non-economic damages. Phil can handle your bus accident claim and help you fight for the compensation that you deserve. Other causes can be defective or faulty equipment on the bus, such as brake or steering systems, tires or other system failure. According to the National Highway Traffic Safety Administration (NHTSA), school bus accidents are a prevalent threat to the safety and well-being of children in the United States. Approximately 19 children die in school-related transportation accidents on an annual basis. Between 2005 and 2015, nearly half of school bus fatalities involved a child between the ages of 5 and 7, and 51% of school bus accidents were front-impact collisions. While some of these accidents may have been caused by weather conditions or other unavoidable circumstances, many are the result of negligence. At Berenz Law Network, we believe that parents should be able to trust that school transportation will protect their children from the carelessness of others; not put them in harm’s way. Both the Chicago Transportation Authority (CTA) and the Metra have investigative units responsible for investigating accidents that occur on trains and buses. As a result, accident victims are at a disadvantage unless they retain legal representation to subpoena documents, interview eyewitnesses, and conduct investigations of their own. Attorney Berenz consults safety experts, investigators, and medical professionals when assembling evidence and information in public transportation accident cases. He reviews video footage, locate and interview witnesses, and look at the actions of CTA and Metra employees both before and after an accident. Since there is a 6-month window during which a lawsuit can be brought against the CTA or Metra, it’s important that injury victims retain legal counsel as soon as possible. When a bus accident happens and one or more individual suffers severe injury, it is important to establish liability. Establishing liability in personal injury claims is always part of the process in an injury claim. Berenz Law Network have achieved many successful results for our clients in their personal injury claims. We never charge a fee unless we win your case, and are prepared to aggressively pursue the maximum compensation possible in any bus accident injury claim throughout Chicago. Call 312-375-6524 for a Free Consultation and let us fight for you!